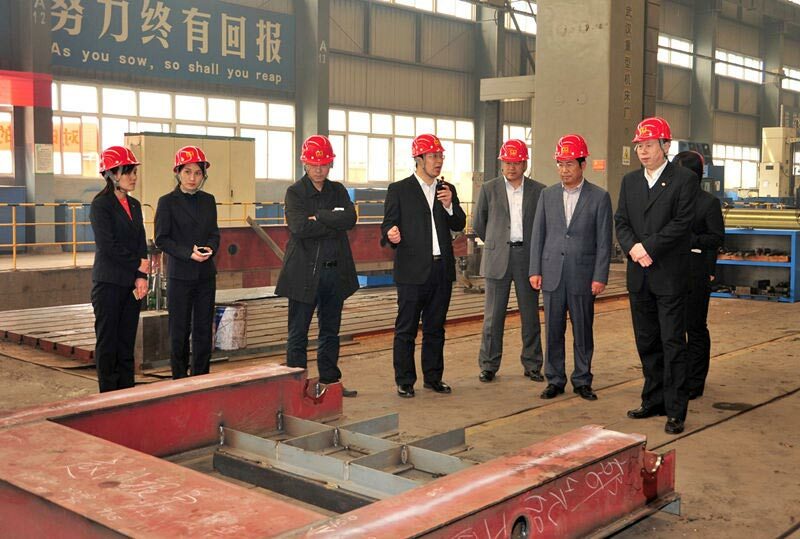 On April 7, leaders of Huadian Zhengzhou Machinery Design and Research Institute paid Weihua Group a visit. They came into Weihua lab to learn more about the chemical analysis, quality testing, anti-sway technology and so on, then visited our 60,000m2 workshop, exhibition hall of honor. After that they had a discussion with Weihua Group. Yu Youfei, CEO of Weihua Group gave our guests a worm welcome and briefly introduced Weihua development direction, bilateral cooperation scope, and experience cooperation with universities, research institutes and so on. 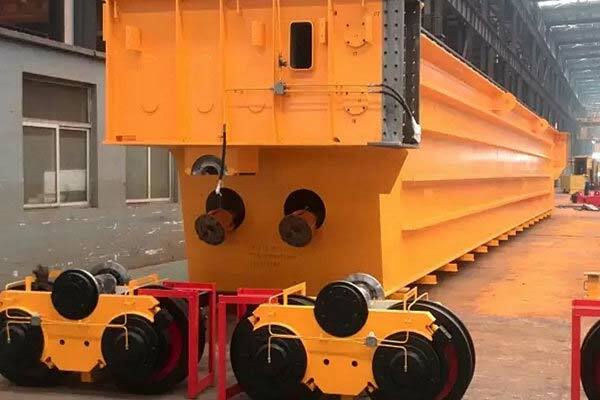 After several exchanges and discussion with Huadian Zhengzhou Machinery Design and Research Institute, Weihua agreed that the partnership is a rare opportunity for both sides. 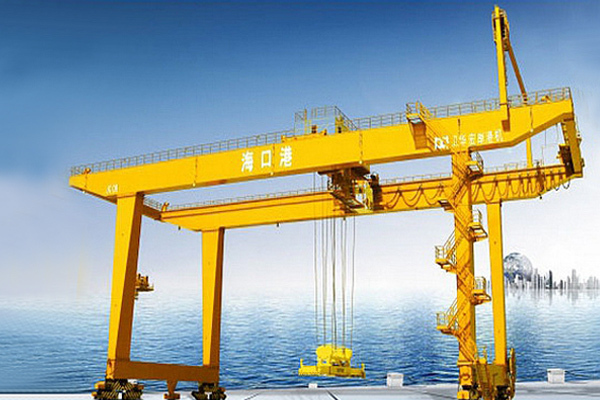 Hope the two sides can cooperate in the EPC, crane market segments, steel manufacturing and other fields, strengthen the partnership to achieve win-win development. 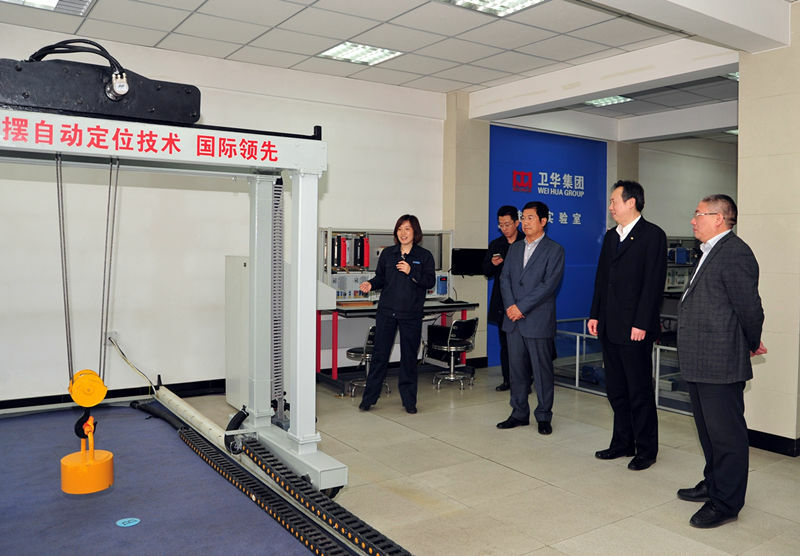 Leaders of Huadian Zhengzhou Machinery Design and Research Institute spoke highly of Weihua group technology and culture. 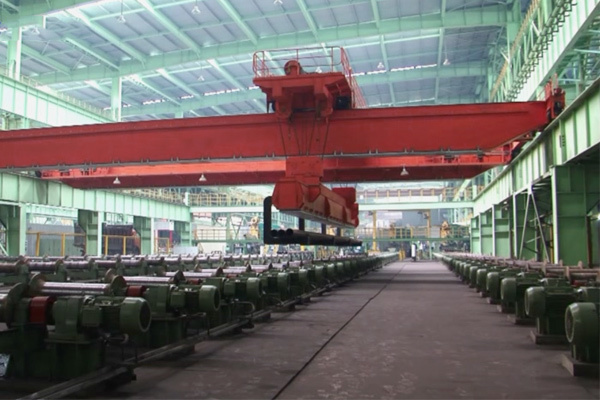 They expressed that Huadian Zhengzhou Machinery Design and Research Institute has advantages in the design of research and development, but lack of production capacity. Working with Weihua is very important for Huadian Zhengzhou Machinery Design and Research Institute. They hope the two sides to strengthen communication, carry out good projects with good team work and cooperation. Finally, Weihua Group Chairman, Han Xianbao delivered a speech, he said, It has good Complementarity that Huadian Zhengzhou Design Institute of Machinery as research institutions working with Weihua Group. And hope that both sides have agreed on strategic cooperation, but also to learn from each other in business, give full play to their respective advantages and joint development through a turnkey basis, to provide customers with a comprehensive suite of solutions, to jointly cope with the current market situation.